From Peter Britt, who grew grapes in Jacksonville in 1855 to the establishment of the Rogue Valley Vintners in 2018, Southern Oregon’s wine industry has come a long way. Southern Oregon is recognized today for growing high quality grapes and producing delicious wines with care and thoughtful intention. The region’s wine industry is robust and mature, yet not without challenges. Post-prohibition grape growing and wine making in Southern Oregon date from the 1960s when a few resourceful, ambitious and hard-working risk takers planted vines and built wineries. Growing from just two bonded (licensed) wineries in 1978 to 150 in 2017, Southern Oregon’s grape growing and wine making traditions are contemporary and rooted in a heritage that is less than a century old. It was Porter Lombard who jump started wine grape growing and winemaking in Jackson County in the late 1960s. An horticulturalist, Lombard was station chief at the Southern Oregon Experiment Station where he planted a test vineyard that was producing good fruit by 1972. Lombard shared bud wood with growers throughout Southern Oregon and established research partnerships around the valleys. Lombard’s legacy lives on today in the vineyards and wines of Southern Oregon. Some wineries have developed new product lines to build their business and attract tourism revenues, from cheese making and charcuterie at Wooldridge Creek, medicinal hemp at Cowhorn and beef at Plaisance Ranch. The Southern Oregon Research and Extension Center (SOREC) recently named their newest test vineyard, The Lombard Block, in honor of Porter Lombard’s contributions to Southern Oregon’s viticulture. At Foris in the Illinois Valley Ted Gerber’s wife Meri sold grape vine wreaths in 1971 to make ends meet. Roger and Barrie Layne planted their acres in 1972 and Suzi and Chuck David planted Siskiyou Vineyard in 1974, the winery bonded in 1978. Siskiyou closed operations a few years later, but Ted Gerber kept at it, and began producing wines under the Foris label in 1986. Out in the Applegate, another pioneer Frank Wisnovsky set out to make wine at Valley View in 1972 with plans to open a cooperative winery so that grape growers could share equipment. While the co-op didn’t materialize Valley View Winery was bonded in 1978 providing an early market for Southern Oregon wine grape growers. Frank Wisnovsky died in 1980 and today Frank’s sons, Mark and Mike run the operation. In the 70s, John Osterhout tested water spray to protect vines from frost damage on the Agate Desert near Eagle Point. Now Osterhout’s land is a conservancy and today’s vineyards manage frost with windmills that cost up to $35,000 each. With only a few wineries and low consumer demand in the early years, it was hard going for Southern Oregon’s grape growers and wine makers. Persistence, dedication and a passion for fine wine kept the industry moving forward, responding to the market. The 1980s and 1990s were years of agricultural transition as pear orchards gave way to vineyards. 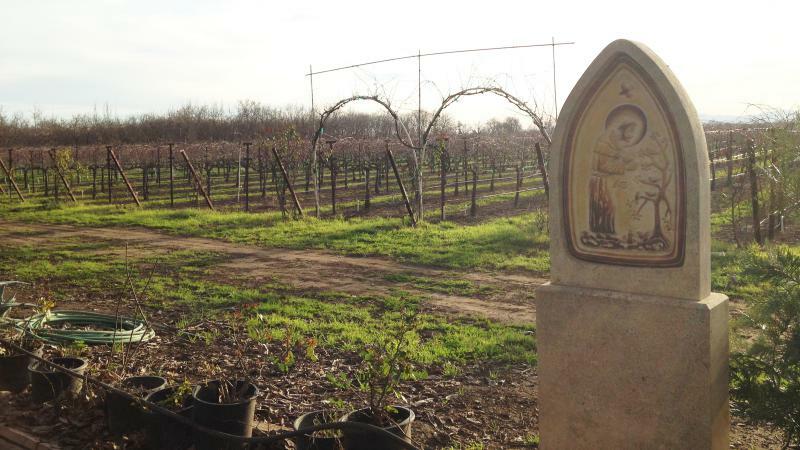 More acres were planted to grapes, more wineries were established and tasting rooms opened throughout the region. Foris Winery expanded, gaining regional and national distribution of their wines during the 1990s and 2000s. Wine maker Sarah Powell spent 12 years at Foris, leaving a legacy there and in Southern Oregon that brings the winemaker into the vineyard, a now common practice. Sarah Powell, at Foris Winery in the Illinois Valley. Under Ted Gerber, Foris is characterized by cooperation, knowledge sharing and organic expansion. In Medford, Dunbar Carpenter pulled his pear trees and planted the hills to grapes in the mid-1970s and today his daughter, Emily Carpenter Mostue runs the vineyard under the Rocky Knoll label. 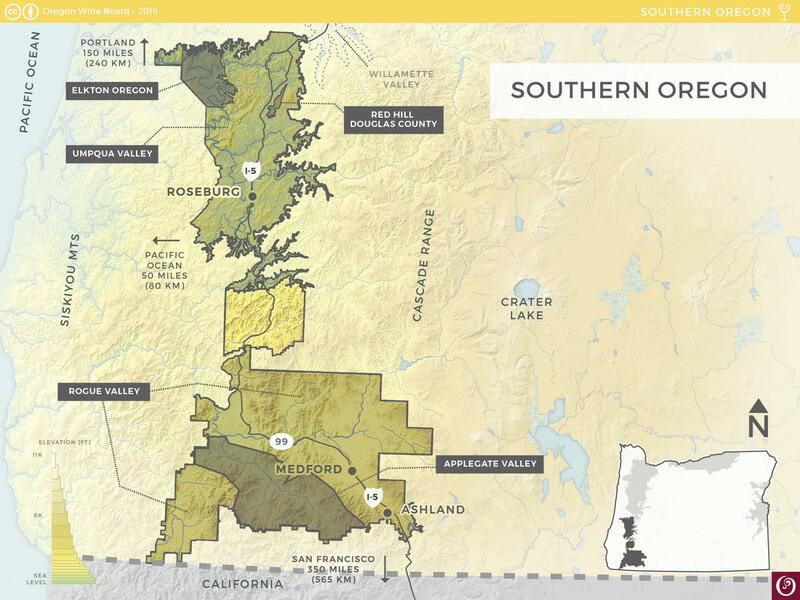 Today, the Southern Oregon AVA represents about 23% of Oregon's wine production and as much as 80% of Southern Oregon's Pinot noir is sold out of the area and labeled under the Oregon AVA. Across Foothill Road, Reginald Parson’s descendant Chad Day makes wine at RoxyAnn, and Hillcrest Orchard’s 1908 barn is a tasting room. Laura Naumes runs Naumes Crush & Fermentation, a custom crush facility that opened in 2015, operated by a family known for pears. As of 2018, Valley View Vineyard and Winery has reached regional, national and international distribution. Valley View’s Rogue Red is in Costco and other major outlets, readily recognized as a Southern Oregon wine. Valley View is characterized by its long stability and an ability to respond to market opportunities quickly, efficiently and with exceptional wines. American wines, and more recently artisan foods are identified with their specific geologic, geographic and climatologic environments. This gives rise to terroir, the notion that place conveys its unique characteristics to wine, and so to taste. In the United States, American Viticultural Areas (AVA) are designated by the U.S. Treasury Bureau to govern the labeling of wine with respect to where grapes are grown. Areas designated under a single AVA can be quite diverse and so the wines made from one varietal in several areas of the AVA can be quite different. Southern Oregon’s AVA classifications represent a tension between terroir, cultural identity and market necessity, but are the first indicator of locality or place. An AVA can be narrowly defined to identify a specific geographic region, underscoring the idea that a great wine begins in the vineyard and continues with the winemaker who shapes the wine with style and intent. Terroir is now understood to reflect place, and also cultural heritage. 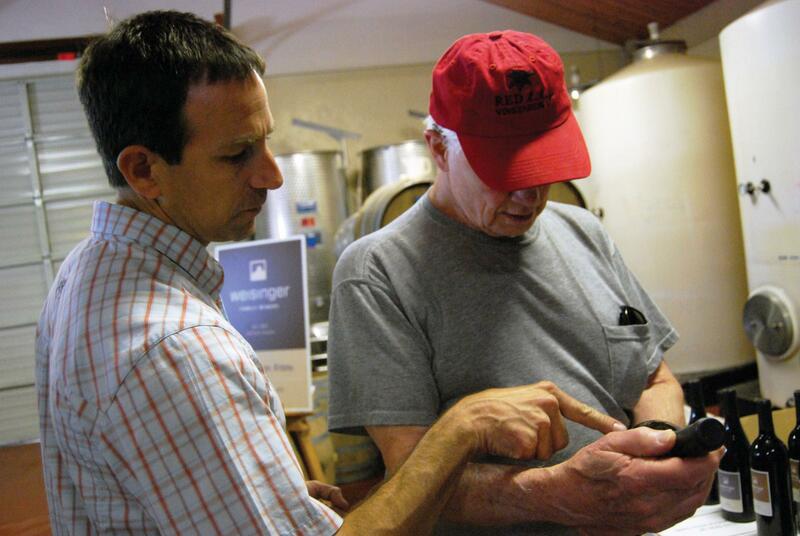 The Southern Oregon AVA is located in Jackson, Josephine and Douglas counties, designated in 2004 thanks to the work of Greg Jones, then at Southern Oregon University, and his father Earl Jones of Abacela Winery. 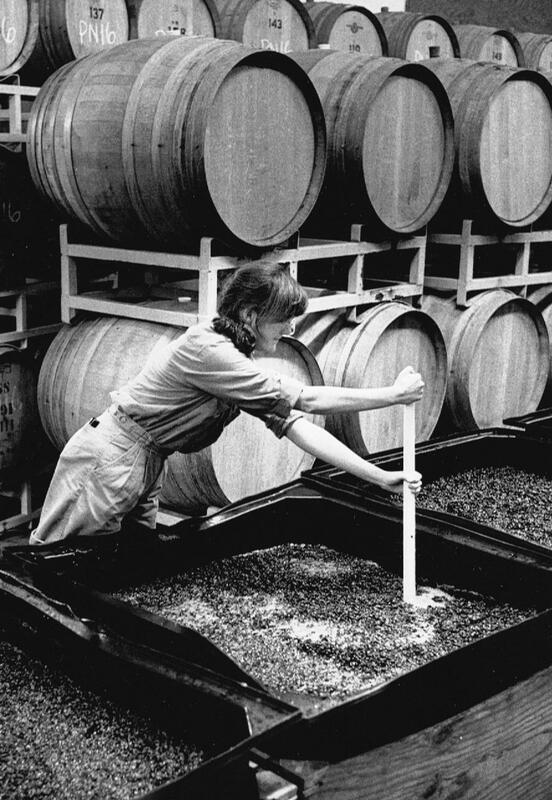 The AVA was intended to describe a larger geographic region of the state and serve as a more recognizable wine brand than the smaller and earlier Umpqua (1984), Rogue Valley (1991) and Applegate Valley (2001) AVAs. The Red Hill AVA was established in 2005 and the Elkton AVA was established in 2013, both sub-AVAs of the Umpqua AVA. Two Oregon scientists, climatologist Greg Jones and Portland State geologist, Scott Burns, accelerated Southern Oregon’s wine industry. Jones’ and Burns’ research describes the diverse ecology, climate and geology of Southern Oregon to identify and define specific terroir-driven growing areas. Their work helps us understand why Southern Oregon’s diverse soils, narrow valleys and high elevation are ideal for more than 40 varietals planted to the 8,000 acres in vines from Ashland in the Rogue Valley to Yoncalla in the Umpqua. 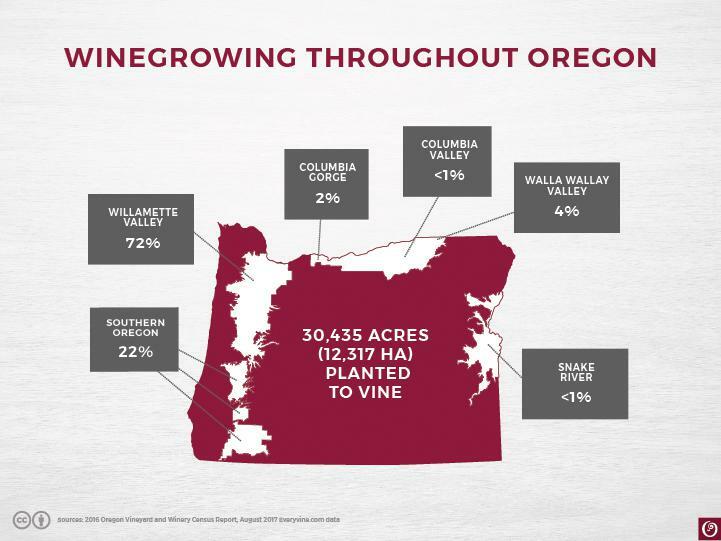 The region’s broadest named AVA is the Southern Oregon AVA representing the larger geographic region that encompasses both the Rogue and Umpqua AVAs. The use of sub-AVA appellations like Rogue Valley AVA and Applegate Valley AVA, are limited but are powerful descriptors that evoke the natural beauty of the Siskiyou-Klamath-Cascade bioregion. Some wine makers, such as those that designed the Applegate Valley sub-AVA, argue that a narrowly defined AVA represents the terroir of the land, the collaboration among vintners and collectively identifies the vineyards and wineries of that growing area. Further, the smaller, defined sub-AVA promotes tourism to wine tasting rooms. There is a trend among smaller producers and estate wineries to use a narrow, terroir-driven appellation, and new AVAs are emerging from regions now defined as growing areas. Larger producers, including those who sell wine grapes or juice but do not make wine, hold that the AVA should represent a larger growing area that can shape a broader understanding of taste that drives cultural identity and market on a regional, national and international scale. AVAs define a region’s terroir, and Oregon’s winemakers are vigilant in their defense of how their AVAs are applied, now so more than ever before. Eric Weisinger, winemaker at Ashland’s Weisinger’s Family Winery, points out a detail of their new label to wine historian, Will Brown. At the urging of the Oregon Wine Board earlier this year, the Oregon Liquor Control Commission is investigating a Napa Valley winery for the alleged inappropriate use of Willamette Valley, Umpqua Valley and Rogue Valley designations on their 2017 Pinot noir wines. The winery has since cancelled Southern Oregon grape contracts ostensibly for smoke taint, though certified lab tests show typical markers, guaiacol and 4-methylguaiaco, are within normal range. Southern Oregon’s grape growers and winemakers are keenly aware of the industry, are alert to new opportunities, and are quick to adapt to challenges. Growers in this region are known for their willingness to share knowledge and work together towards common goals. 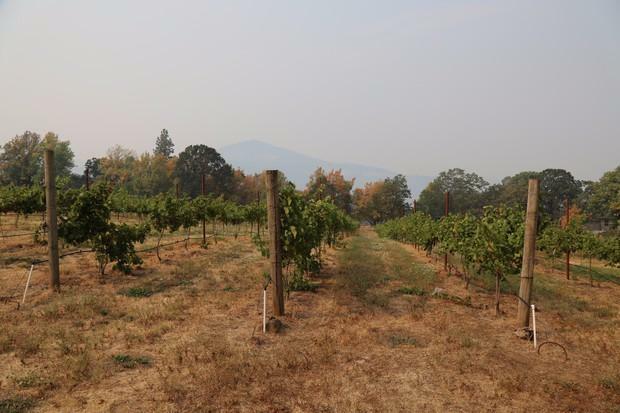 The forest fires that send clouds of smoke through the valleys along the I-5 corridor affects tourism in some years, but according to wine makers, wine enthusiasts and laboratory tests, smoke has not affected the grapes or quality of wines made here. Instead, wine makers look to the challenge of understanding how smoke can be managed in wine making should it be needed. Tourism is also affected by smoke, and wineries are working together with the larger hospitality and tourism boards to mitigate that effect. Increasing temperatures around the region and decreasing seasonal rainfall have emerged as new issues that face Southern Oregon’s wine grape growers especially in more southern areas. Rogue Valley Winemakers and the Southern Oregon Winery Association dedicate The Lombard Block, named in honor of Porter Lombard, at the Southern Oregon Research and Extension Center in 2018. 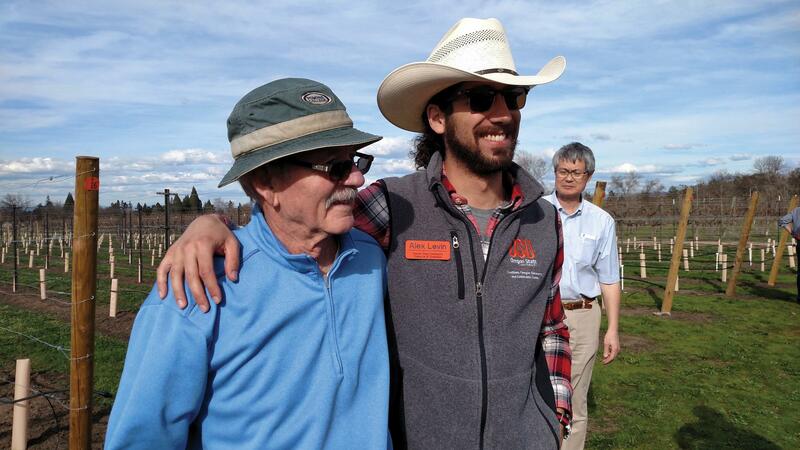 From left to right: Porter Lombard, SOREC viticulturalist Dr. Alex Levin and in the background, Mark Chien, coordinator of the Oregon Wine Research Institute. Because of micro-irrigation and computer aided irrigation systems, wine grapes use far less water than other agricultural products and water deficit is the focus of SOREC viticulturalist, Dr. Alexander Levin’s research. 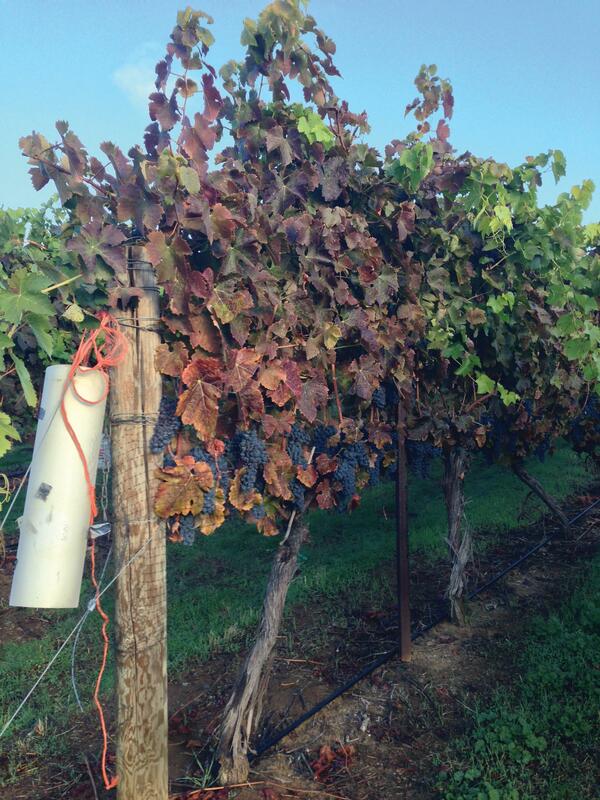 Grape growers are already testing new drought-tolerant rootstock. New pests and diseases have emerged. In the Rogue Valley, grape growers and SOREC’s plant pathologist, Dr. Achala Nepal KC and entomologist Rick Hilton are dealing with grapevine red blotch disease, while in the Umpqua, vineyards affected by phylloxera, an aphid-like insect that feeds aggressively on grape roots, are replanted. Strong research protocols developed at SOREC in partnership with local growers will bear fruit over time. Southern Oregon’s grape growers and wine makers have a contemporary tradition of innovation and cooperation: Richard Sommer who planted Oregon’s first Pinot noir in the Umpqua, Porter Lombard who experimented with varietals and rootstock in Medford and Arnold Kohnert who documented Ashland’s weather patterns and grape ripening cycles in great detail, sharing the data with other growers. That tradition of innovation, curiosity and hard work persists. The world is a much smaller place today and Southern Oregon grape growers and winemakers taste widely and travel to wine producing regions all over the world. Their experienced palates appreciate the profile of the wines they make, recognizing that Southern Oregon’s terroir will establish a wine’s characteristics. Rachel Martin talks about the 2017 harvest at Red Lily Vineyards. Southern Oregon grape growers and winemakers temper age-old practices with common sense and new technologies. Thoughtful innovation has fueled the rapid growth of Southern Oregon’s wine industry and today, Southern Oregon wines are center stage. Economic impact studies funded by the Oregon Wine Board (OWB) show that wine production and sales are increasing in Southern Oregon. Wine grape production increased by 20% from 2016-2017, to 20,555 tons and according to Full Glass Research, under contract by the OWB, revenue increases are even more significant for 2016 as compared to the previous 2013 report. Winery/Grower Revenues are up by 111% to $96,703,667; Wholesale & Retail Revenues are up by 36% to $154,033,360 and Wine Related Tourism Revenue is up by 375% to $105,540,523. According to the OWB, the number of vineyards and wineries in Southern Oregon has increased by 20% in 2017, to 280 vineyards and 150 wineries. Today, the Southern Oregon AVA represents about 23% of Oregon’s wine production and as much as 80% of Southern Oregon’s Pinot noir is sold out of the area and labeled under the Oregon AVA. Flexibility has its contemporary roots in how Southern Oregon’s grape growers and wine makers graft over older varietals to meet new market demands, how they resist a single branded varietal and celebrate more than 40 varietals that thrive in Southern Oregon. They are committed to sustainability and demonstrate a reverence of the land in Salmon Safe designations, L.I.V.E. (Low Input Viticulture and Enology) certifications and biodynamic farming practices. Grape growers have new technologies and service providers at hand. Vineyard management companies like Applegate Vineyard Management, Pacific Crest Vineyard Services and Results Partners make it easier for vineyard owners to manage labor and reduce equipment requirements. Harvest season at Del Rio Vineyards. 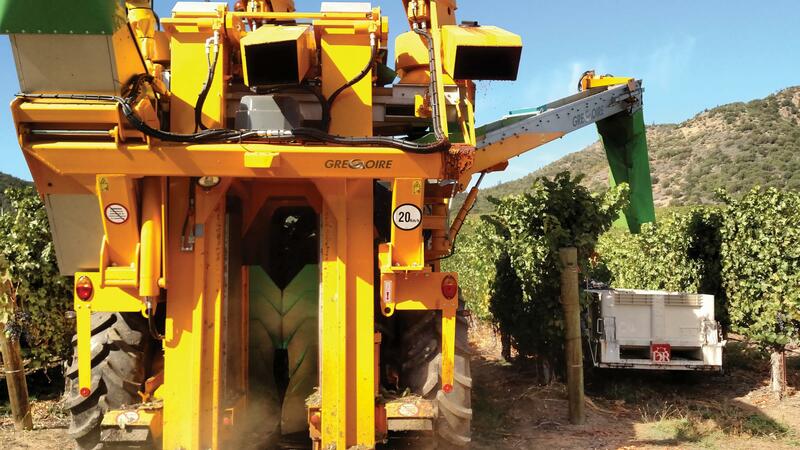 Mechanical harvesters ease the workload in the Applegate and at Del Rio. Ross Allen manages 2Hawk’s operations with his phone. Some wineries have developed new product lines to build their business and attract tourism revenues, from cheese making and charcuterie at Wooldridge Creek, medicinal hemp at Cowhorn and beef at Plaisance Ranch. Wineries are community centers, Red Lily hosting the annual Wild Rogue Relay and commemorating the death of a student and partnering with Freshwater Trust to improve their lands along the river. 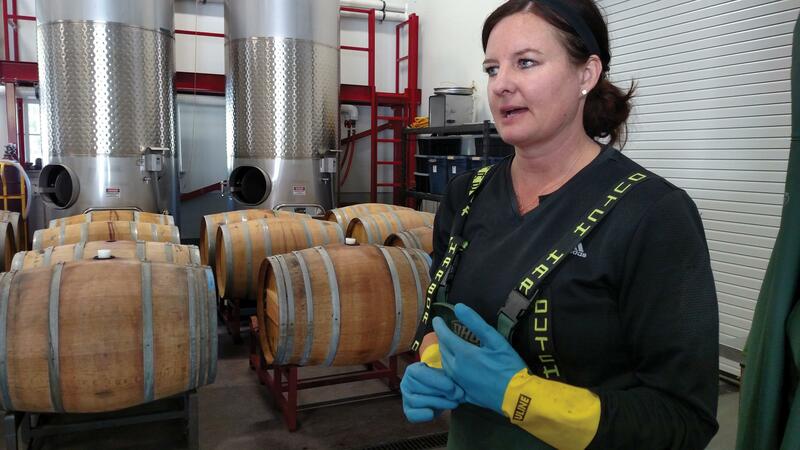 Southern Oregon wineries have changed the marketplace with new packaging innovations, like EdenVale’s wine canning system and vacuum sealed wine pouches and Wooldridge’s mini-wine kegs. Barrel 42 client presentation boxes are unique and desirable. New branding initiatives, like Bridgeview’s Alwen wines that benefit watershed restoration projects and Dancin’s ballet in a glass imagery are brilliant. Strong, concerted efforts on behalf of the Oregon wine industry by the Oregon Wine Bureau, Travel Southern Oregon, Rogue Valley Vinters and Umpqua Valley Winegrowers Association have increased wine tourism, brought Southern Oregon wines to national and international attention and brought wine writers and industry experts to Southern Oregon. Southern Oregon wines are in the news everywhere. Wine events and festivals help define place, build brand and increase a winery’s following, often along AVA designations and sometimes for a larger purpose. What began in 2001 as the World of Wine, a small, local tasting with a couple of wineries and a few hundred attendees, has become the Oregon Wine Experience, a 12 month wine celebration that culminates in a week-long series of tastings, wine dinners, medals and more. Now featuring wines from all of Oregon’s AVA, masters of wine panels taste more than 350 wines to determine winning wines that sell out quickly in tasting rooms and wine shops. The 2018 Oregon Wine Experience raised more than $1,275,000 for Asante’s health programs, a 25% increase over last year. More than 4,000 wine enthusiasts attended the event. The grape growers and wine makers of Southern Oregon are nimble and smart. They acknowledge the medals and awards received and Wine Spectator scores and reviews but are not driven by external validation. They are proud of the Old World grape growing and wine making traditions that they have continued, and as proud of the New World ways they have established through innovation, experimentation and partnerships. Old World tradition and New World innovation, here in the vineyards and wineries of Southern Oregon. Cole, Katherine. (2011). Voodoo Vintners: Oregon’s Astonishing Biodynamic Winegrowers. Corvallis, OR: Oregon State University Press. Daspit, MJ and Eric Weisinger. (2011). Rogue Valley Wine. Mount Pleasant, SC: Arcadia Publishing. Sommers, Brian. (2008). The Geography of Wine: How Landscapes, Cultures, Terroir and the Weather Make a Good Drop. NY: Plume. Trubek, Amy. (2009). The Taste of Place: A Cultural Journal into Terroir. Berkley, CA: University of California Press. Maureen Flanagan Battistella is a curator of the Wine of Southern Oregon collection in the Southern Oregon Digital Archives maintained by Hannon Library, Southern Oregon University. In a tiny Northern California town called Vina, there's a winery that's definitely off the beaten track. That might be because this region's better known for olive groves and cattle ranches than grapes. For these, vintners, though, it's spiritual work.